Several years of sharing musical ideas and visions have finally borne fruit with BLODARV front man and founder HUGIN joining forces with ELENYX (COMBATH) on the upcoming album from her NÅE project. 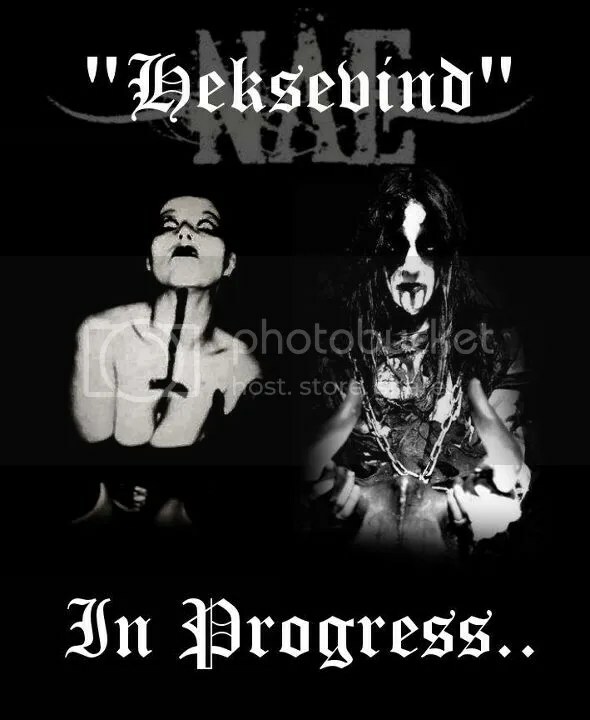 In what has become a Nordic alliance, Norway’s ELENYX, who founded NÅE, and Denmark’s HUGIN are being joined on the album, which will be called “Heksevind”, by Sweden’s IT (ABRUPTUM, VONDUR, OPTHALAMIA). With ELENYX herself working on composition, lyrics, and vocals and playing various instruments on the album, Hugin is expected to provide vocals and lyrics while IT will participate both musically and with written material. The exact details of the collaboration will be known as the work progresses. The video below is a collage of photos of BLODARV in concert in May of 2011 with the track “Natteskarn” from the “Civitas Diaboli” album.